I am recruiting an elite group of readers to form a “Street Team” of volunteers for an exciting undercover mission. So you have to ask yourself, are you up to the challenge? Do you have what it takes? Can you go the distance and carry all the free loot and goodies along the way? I have a new novel coming out on the 15th of June, so I am recruiting my team right now. 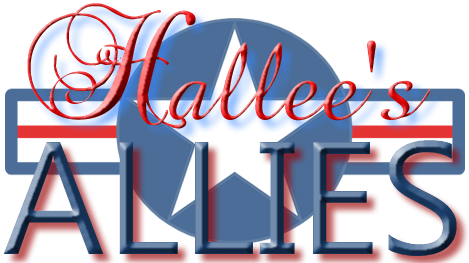 This group will forever be known as “Hallee’s Allies” and besides the really cool heroic looking badge, you might wonder why you would want to ally with me on this mission to save the world. If you love to read, love to talk about the books you most enjoy, and love getting free stuff or discounts before anyone in the general public, then you are probably an ideal recruit. It doesn’t matter if you live in Paris, Kentucky or Paris, France. I know just how much it will cost to ship to Alabama, Australia, Afghanistan, or Africa. I am willing to go the distance for my international, military, patriot and ex-patriot Allies. I will personally ship identical goodies anywhere on this earth to my dedicated friends all over this earth. 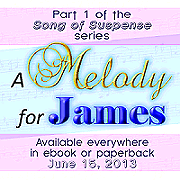 Charter members of Hallee’s Allies who enlist by April 15th will receive a personally autographed pre-release paperback edition of my upcoming full length Romantic Christian Suspense novel, the much anticipated premier book in my newest series entitled A Melody for James. Copies will be mailed no later than May 15th, but the book will not be available to the general public until June 15th. Allies will receive a discount coupon for any other eBook that I’ve released for Nook, Kindle, or any other eBook format. I am SO looking forward to working with you and getting to know you on a personal level and working closely with you to see what we can accomplish in the weeks ahead! 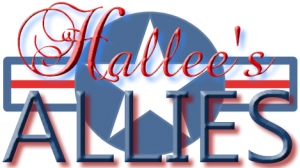 This entry was posted in Hallee's Street Team - Hallee's Allies and tagged Hallee's Allies, street team. Bookmark the permalink. Sounds like fun and a good way to interact with other Christian ladies. I am probably too late but I just found the book club. If you are looking for members of Hallee’s Allies in the future I would love to join. I love your stories and would like to help you promote them. I just found this and would love to be included in the future! Others should get to know your books!